NewAriel Color & Style is formulated to keep colors looking like new whiledelivering superior stain removal to keep them clean. White portions remainsnowy bright, while the colors are protected from fading. It has Color-LockTechnology, which is a unique Dye Transfer Inhibition (DTI) technology thatbinds fabric’s loose dye to make them withstand vigorous washing by hand or bymachine. 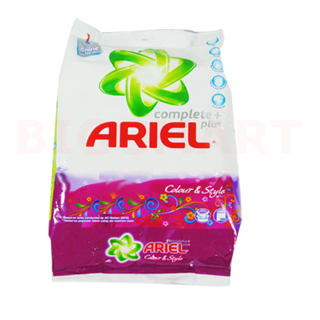 With the color dyes kept together by the DTI technology, originalcolors remain intact so your favorite colored clothes keep looking like new.New Ariel Color & Style also eliminates tough stains like grease, clay,rust, or even ink.